Many of us have been following her methods and career for some time now, but if you haven't gotten to know Marie Kondo yet, it just got a whole lot easier to do so. 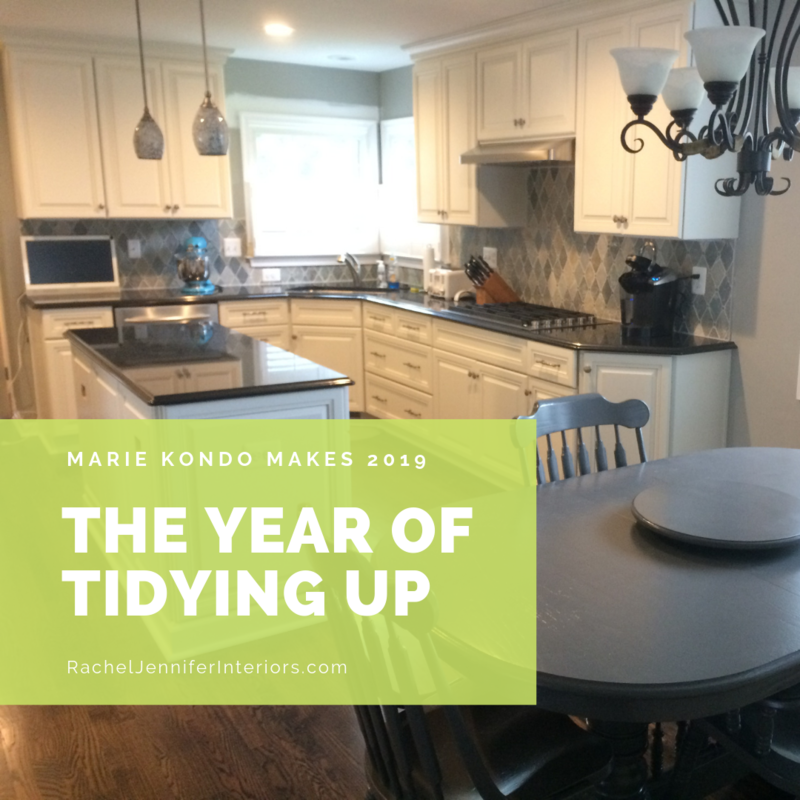 With her new show, "Tidying Up with Marie Kondo", Marie introduces the methods she describes in her 2012 book, in a version that can be digested in 30 minute episodes. She meets with different families and homeowners, all with what appears to be differing sets of circumstances. But what they all have in common, is that they have too much stuff, they are overwhelmed, and they don't know what to do about it. What I have always loved about Marie's methods, is that she does not require clients to emotionally disconnect from their belongings. In fact, she encourages them to spiritually connect with their home and their things in a way that helps them to understand why they might be holding on to things in the first place. As a sentimental person myself, I have always empathized with my clients when they are going through items that have great meaning for them. By prioritizing things that hold the most meaning and that are the most special to us, we can highlight and make room for those things, while letting the rest go and freeing up space. Another point that is important to mention, is that this show is itself produced in a very "tidy" way. Of course everyone's personal journey will not cleanly wrap up in a 30 minute episode. In several episodes, it was mentioned that the elapsed time was as much as 6 weeks. What about the concept of "spark joy"? It may take more time for some of us to grasp this concept if it ever resonates with us at all. If you are not as connected to your things, you can also choose to focus on the amount of storage space you have. Focus on keeping only items that fit within their allotted space. For example, keep only as many books as can be contained on the living room built-in shelves, or as many clothes as there is room to hang them in the closet. Over time, you will find that you are prioritizing certain items over others, and this will help you discover what sparks more joy, or what is more valuable to you. It is such a great feeling when the weight, guilt, and stress is lifted off your shoulders. When people realize that they can be successful and create real change in their homes, they can take that energy with them to create long lasting habits and routines to keep it that way!